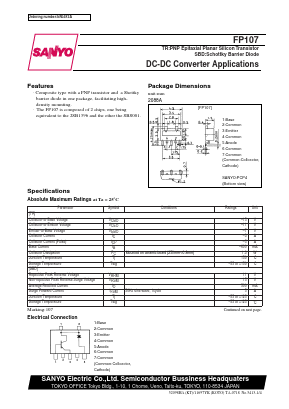 â¢ Composite type with a PNP transistor and a Shottky barrier diode in one package, facilitating highdensity mounting. â¢ The FP107 is composed of 2 chips, one being equivalent to the 2SB1396 and the other the SBS001. RB521S-30 SILICON EPITAXIAL PLANAR SCHOTTKY BARRIER DIODE View Semtech Electronics LTD.